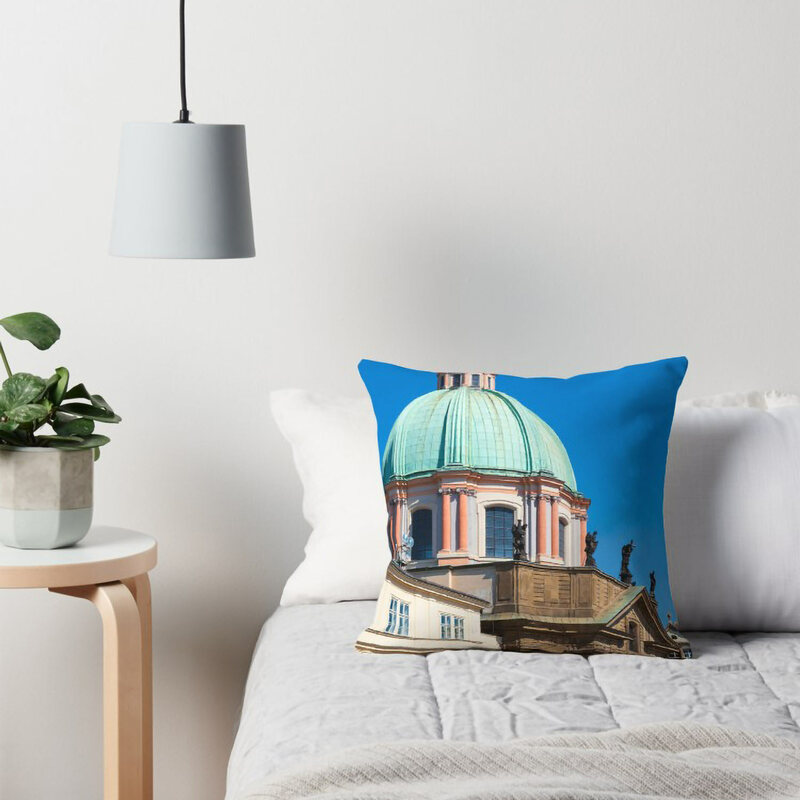 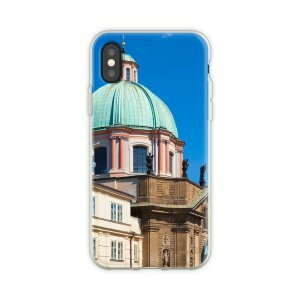 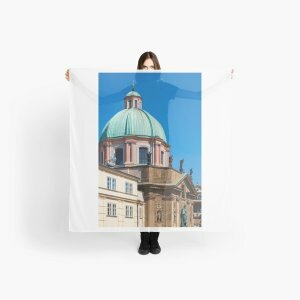 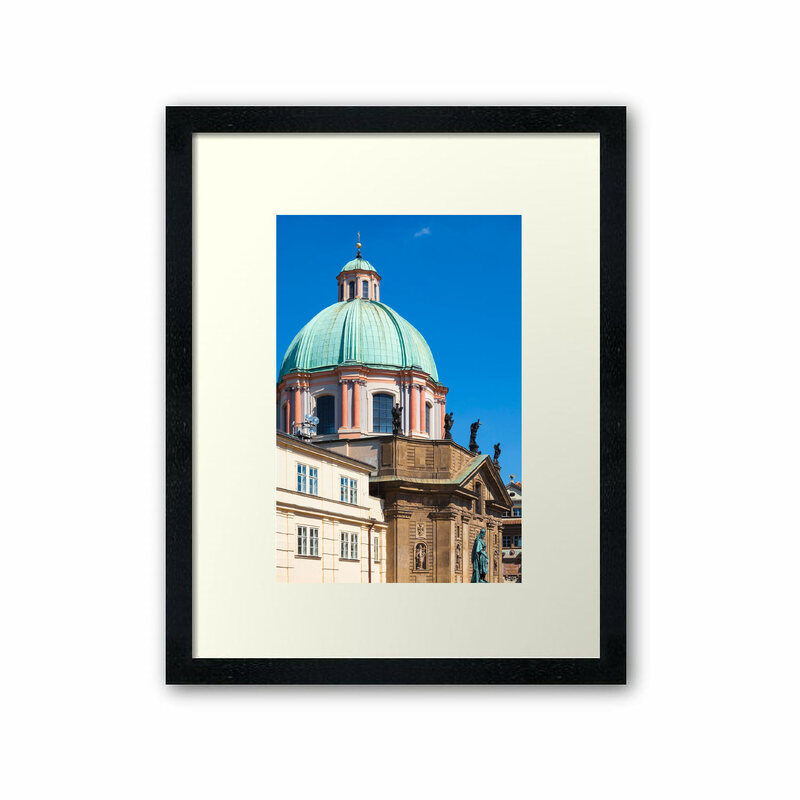 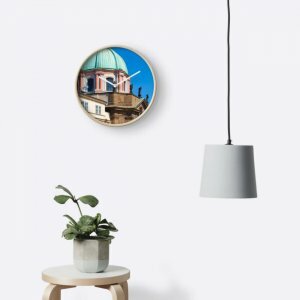 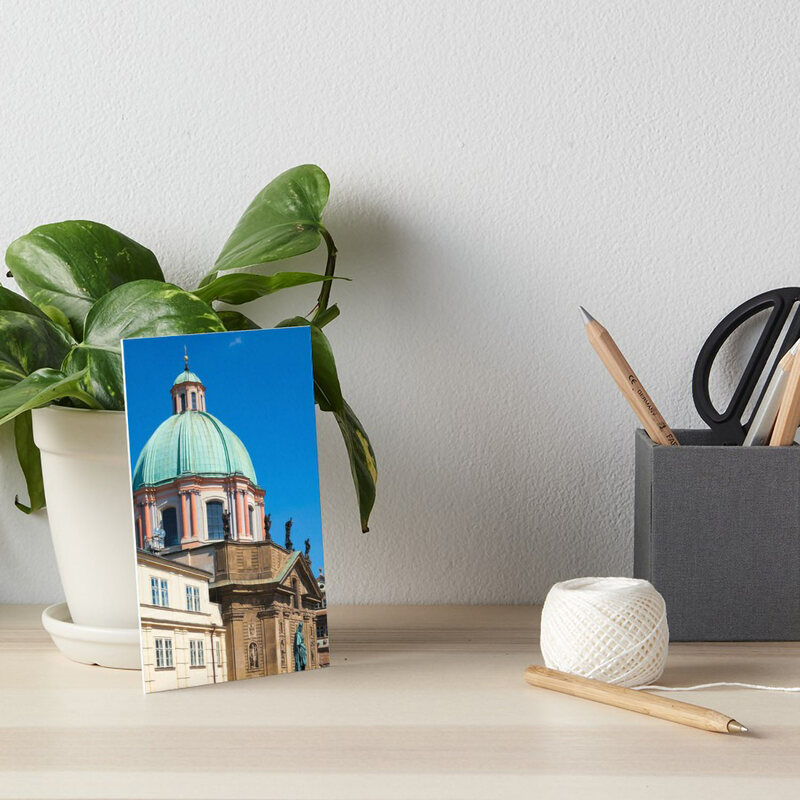 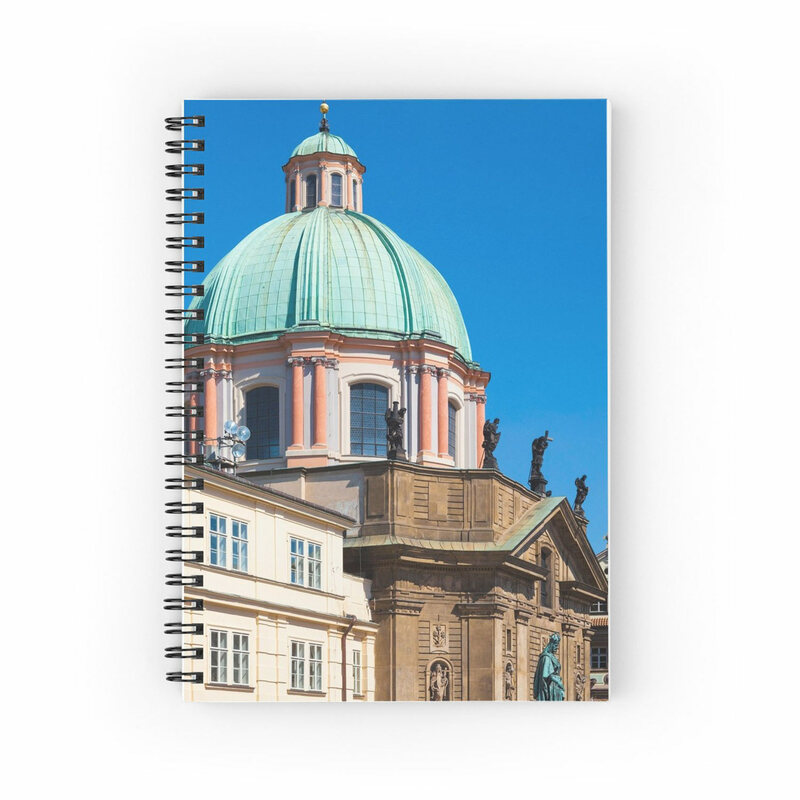 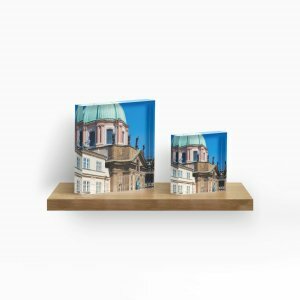 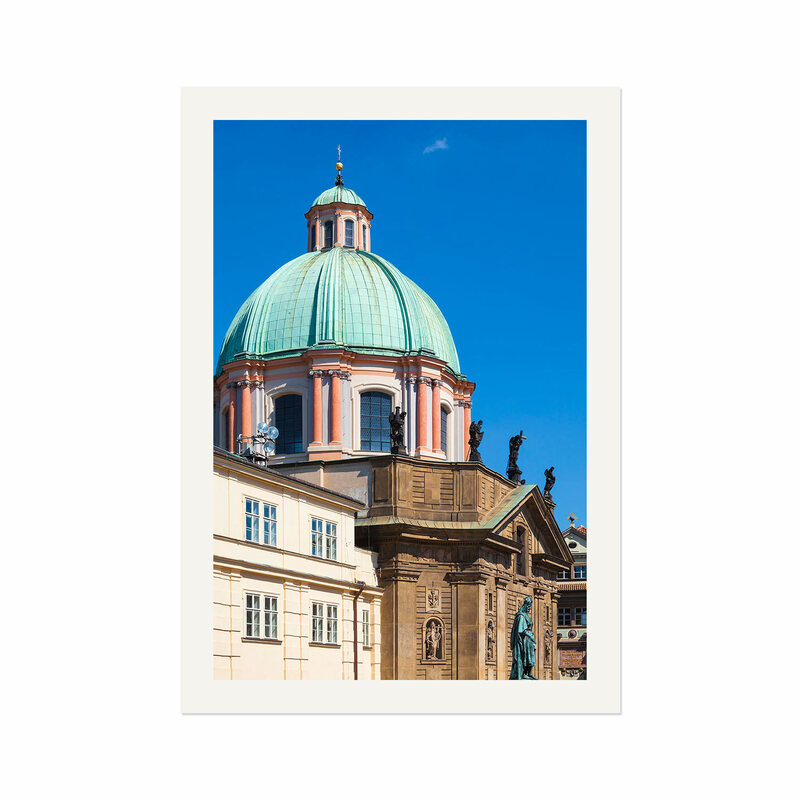 The Baroque dome of the Church of St. Francis Seraph (also known St. Francis of Assisi) is one of the dominant landmarks in the skyline of Prague when you look at it from Malá Strana. 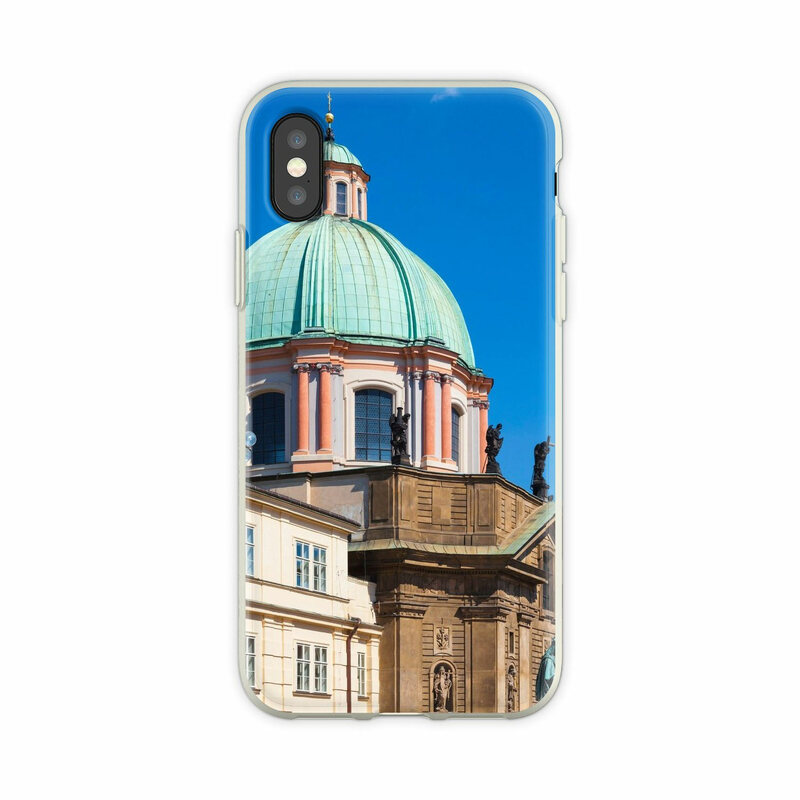 The church is located near Charles Bridge and Old Town Square. 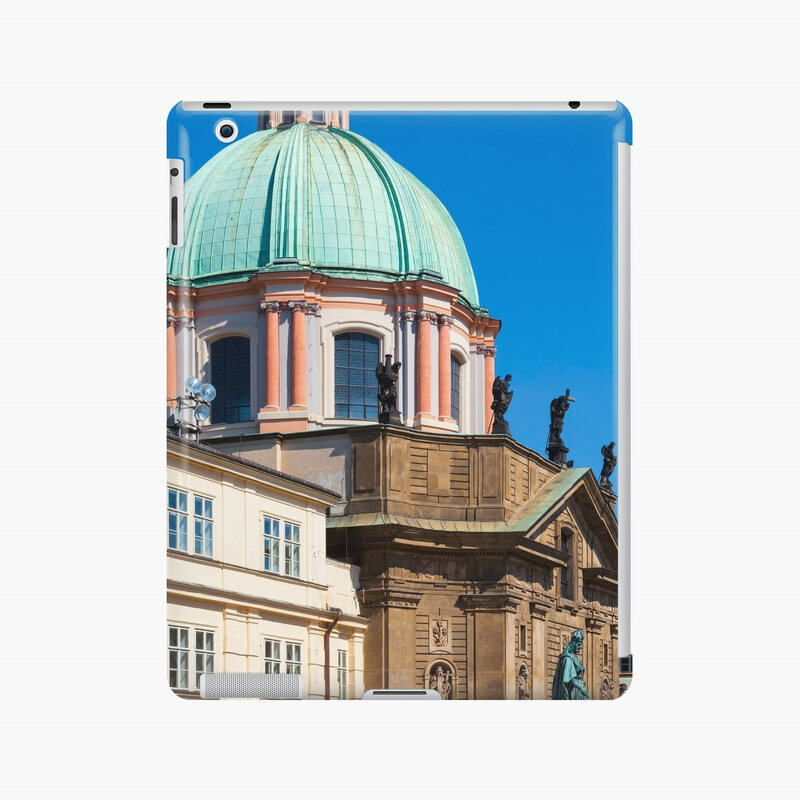 In the lower right corner of the frame, you see the Statue of Charles IV, which is located in Křižovnické Square. 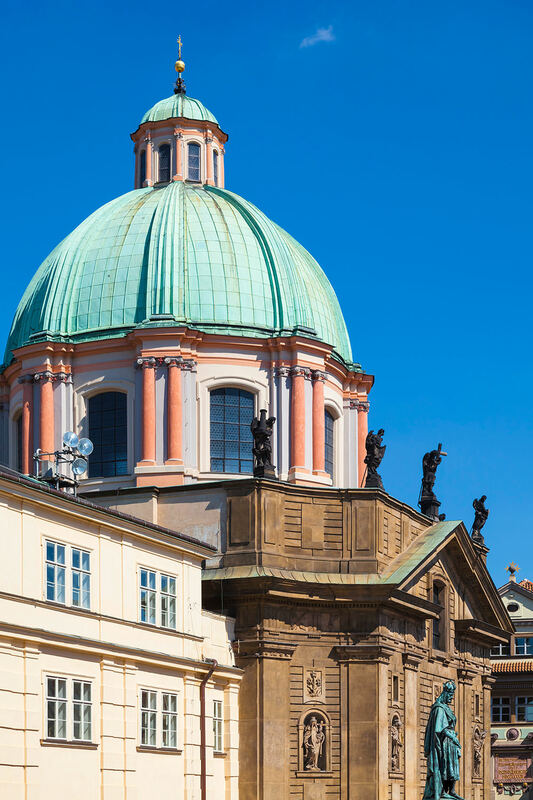 Charles IV was a King of Bohemia and Holy Roman Emperor. 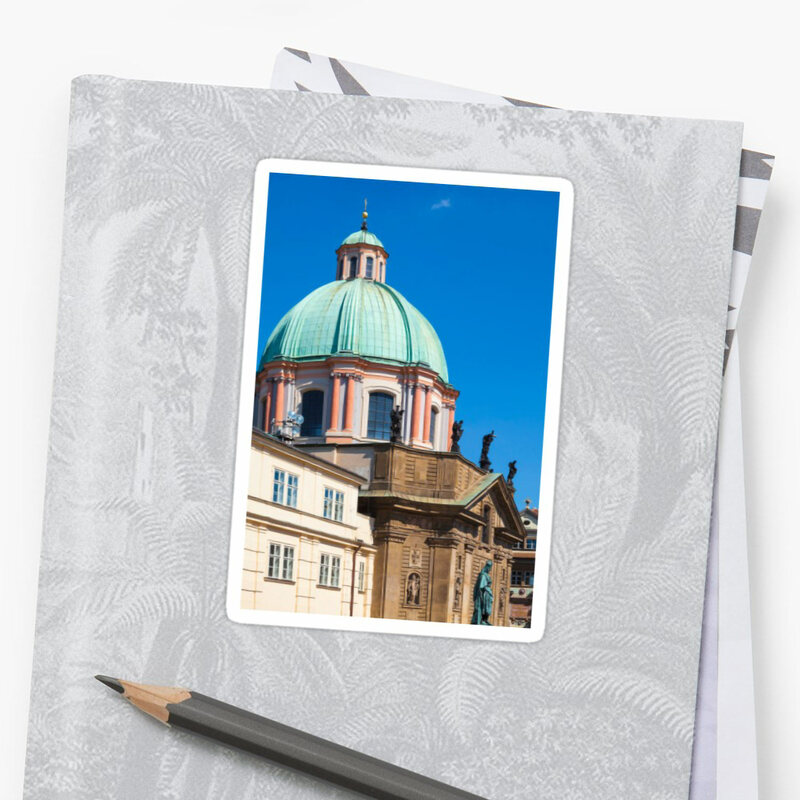 He lived in the 14th century and played an important role in the history of Prague and Central Europe. Charles Bridge is named after him.